The Jones Assembly’s scorching cocktail The Mother of Dragons features several spicy liquors, bitters and liqueurs. I was on a mission to find a warm cuppa to fit my hands. The height of hygge, in my eyes, is a spiked cocktail. 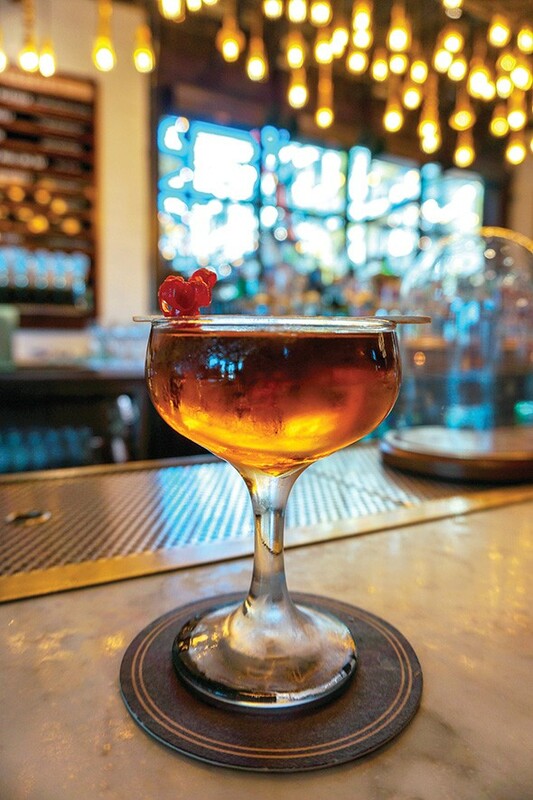 I did the most important work I’ve ever done in my life as I scoured the metro to find the best hot cocktails in bars and restaurants around the city. I pounded the pavement, slightly cold and buzzed, to find the most inventive, classic and boozy warm cocktails. Surprisingly, most of them told me no or “I could whip you up a hot toddy or Irish coffee,” which was an accommodating gesture. Any featured warm cocktails on the menu would be hard to find, and writing about an Irish coffee would be just as exciting about writing about a vodka soda. The cocktails I did find, however, ranged from campy and elaborate to simple and festive. My first stop on my hot cocktails tour was The Jones Assembly, 901 W. Sheridan Ave. Here’s my warning: They didn’t have any warm drinks, but what they had in flavor and spice can definitely classify as warm. First up was Sweater Weather ($10), which features apple brandy, Amaro Averna, pear eau de vie (a type of brandy), Chinese five spice-infused sorghum and Jerry Thomas’ Own Decanter Bitters. Garnished with a leaf of sage, the aromatics of this drink were insane — spicy, sweet and herbal but also light enough to enjoy a few. This drink screamed fall and definitely made my list of favorite fall cocktails. The Jones Assembly had another drink that was probably the most extravagant of the cocktails I’ve tried. Aptly named The Mother of Dragons ($10), it had some heavy theatrics. Offered only in the T-Room, which is the small upstairs bar at The Jones Assembly, the Mother is a riff on a classic Negroni. 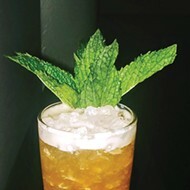 The ingredients include Sombra Mezcal, Ancho Reyes (a chili liqueur), Suze (another liqueur), Hayman’s Old Tom Gin, Dolin Vermouth de Chambéry Rouge, Hella Smoked Chili Bitters and Hella Orange Bitters. It’s garnished with a Thai chili pepper that I have been told has made brave patrons cry in the past after trying a bite of it. 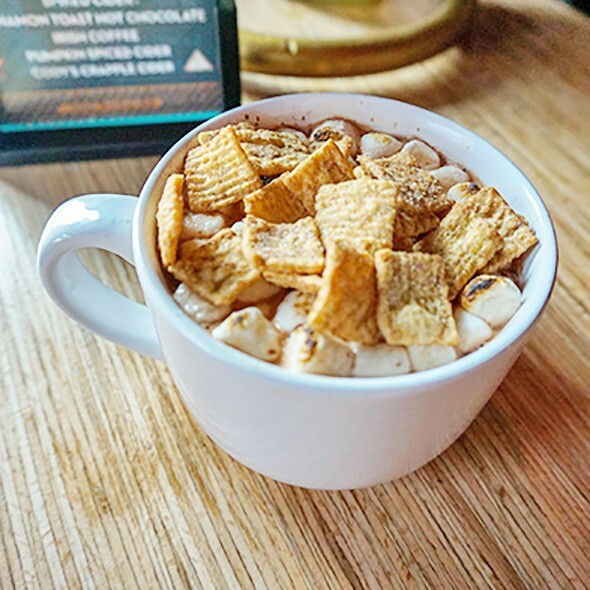 The Cinnamon Toast Crunch Hot Chocolate at The Other Room, 3009 Paseo St., gets blowtorched and dusted with the popular cereal. And that’s not even the elaborate part. The drink is placed on a wooden circle and has a rounded piece of glass placed over it. They pump in cherry wood smoke for an over-the-top effect. But how does it taste? Spicy. Very spicy. I enjoyed all the nuances of the different ingredients, and of course I love a good show, but more than one of these would have me reaching for the Zantac. 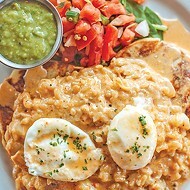 My next stop was in The Paseo Arts District at The Other Room, 3009 Paseo St., the small bar next to Picasso Cafe. This bar has gone through many iterations, but I found myself loving the remodel with the new seating, patio and bathroom. It’s also where I had one of my first warm cocktails many years ago, and I returned to see what variations it had. Cinnamon Toast Crunch drink features hot chocolate, vanilla vodka, RumChata, toasted marshmallows and Cinnamon Toast Crunch. And when I say toasted, I mean the bartender brought out a blowtorch. It was perfect; not too highbrow, but definitely splashy and fun. The pours were heavy on the booze, just enough to balance out the sweetness of the hot chocolate. 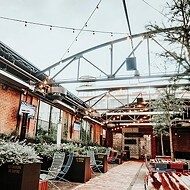 I definitely recommend checking out The Other Room for your warm, boozy cocktail needs. 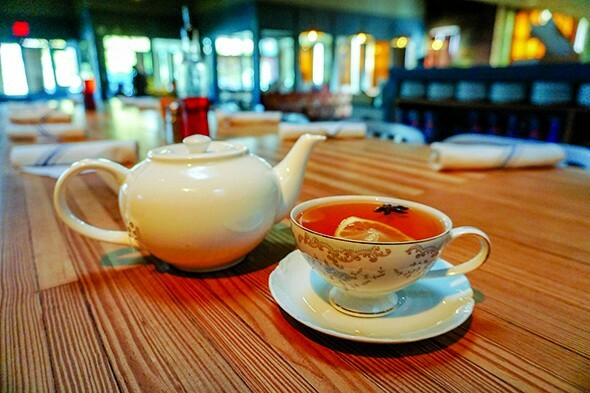 The Hatter, a signature cocktail at Pizzeria Gusto, 2415 N. Walker Ave., features local ingredients. from Urban Teahouse, Townsend’s Bluebird Alpine Liqueur, Tincup Whiskey and a Georgia peach-spiced syrup with ingredients from Savory Spice Shop and was garnished with star anise, lemon and lemon bitters. 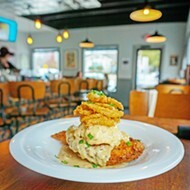 “We strive to get all local or close to all local ingredients in our cocktails,” said Schyler Crabtree, bar manager of Pizzeria Gusto. The Alpine Liqueur balanced out the sharpness and smokiness of the whiskey, and the lemon added a bright acidity. The Georgia peach syrup added a just enough sweetness to round out the most perfect after-dinner drink. What a perfect little surprise. 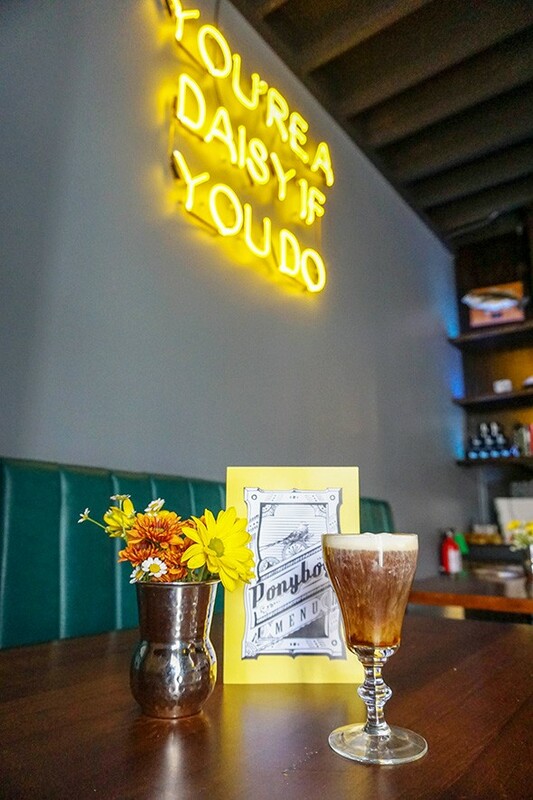 Ponyboy, 423 NW 23rd St., uses KLLR coffee to create its Uncle Joe’s Coffee cocktail. coffee variations at other bars for this location. I had the Uncle Joe’s Coffee (not named after anyone in particular). The drink included KLLR coffee, Plantation Barbados rum, Licor 43 (a Spanish spiced liqueur), a house spice blend, simple syrup and house whipped cream. This drink was great. It seemed to me like a riff on an Irish coffee, but the addition of good rum and the spiced liqueur sent it over the top. I highly recommend it. I found a few more warm cocktails available around the metro. Pub W (three locations) has a Pub Toddy ($7) made with Maker’s Mark, ginger liqueur, honey, lemon and a Laphroaig rinse. It also has some great happy hour specials, and the 3121 W. Memorial Road location is always popular with the after-work crowd. Another hot tip on warm cocktails pointed me to Lyric on the Plaza’s bar, 1721 NW 16th St. During its production of A Christmas Carol, it serves a drink aptly named The Warm Bishop with cider, Crown Royal Regal Apple whisky and ginger liqueur. There are tons of great warm cocktail options all over the metro. And it’s cozy season, so drink up, friends.